Then you will be guided by Query Wizard. 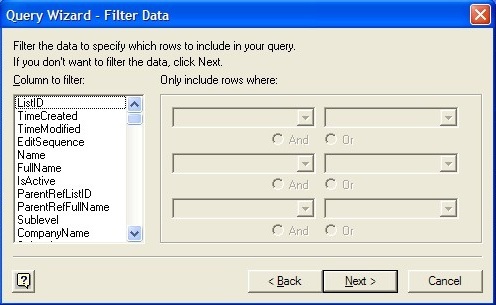 In Choose Columns window, select a table and its columns you want to input. 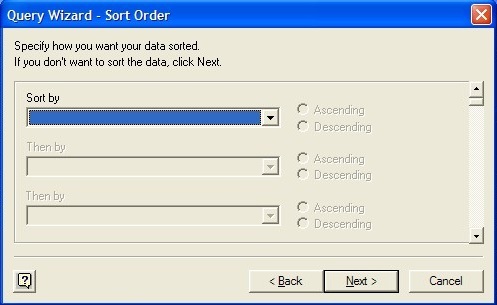 Multiple select is available. 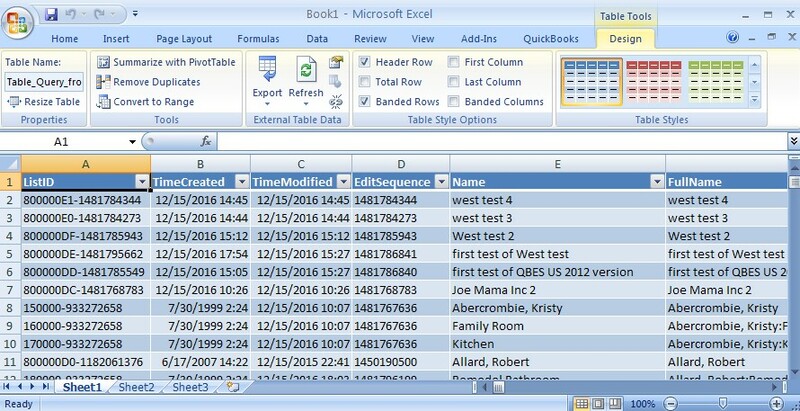 And once a table is selected, it is the default that all its columns are selected. 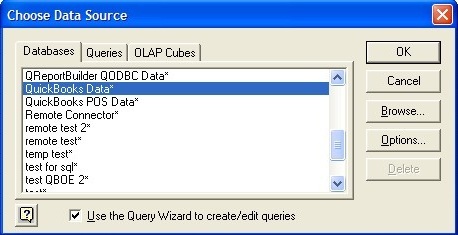 You can add or remove columns from the right list "Columns in your query"
Now the Query Wizard is moving to the final step. 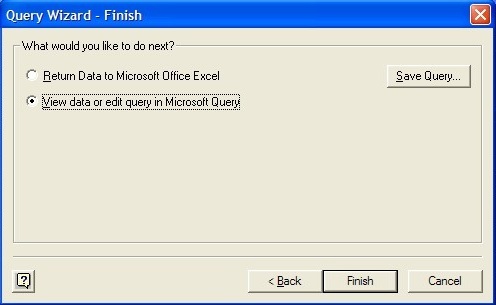 Return Data to Microsoft Office Excel will directly export the data to Excel, you can view and edit these records, but modification will not be uploaded. 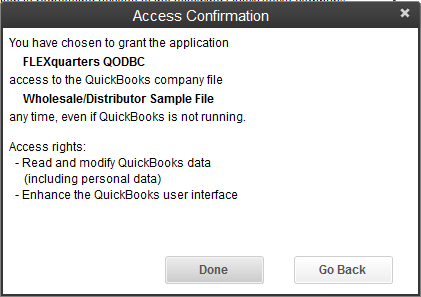 View data or edit query in Microsoft Query will go to MS Query window and you can view and edit data via SQL Statement there, and all modification will be uploaded to QuickBooks. 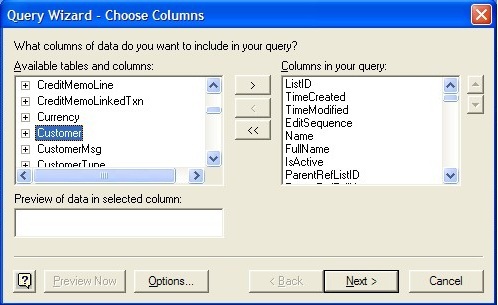 You could use SQL Statement to build your query, press "SQL" button at the top of the window to enter SQL view. 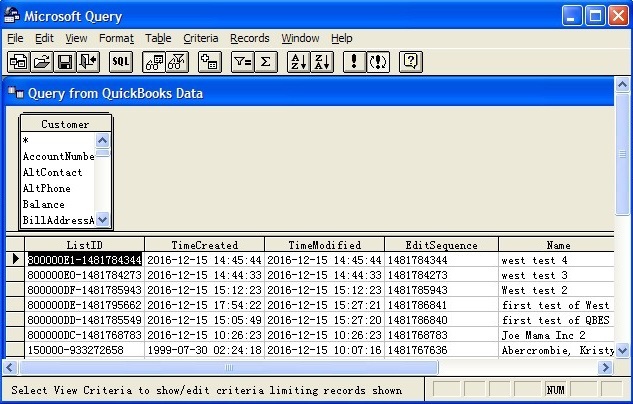 The desired recordset is to contain only the records with a Name having a value equaling "Residential". 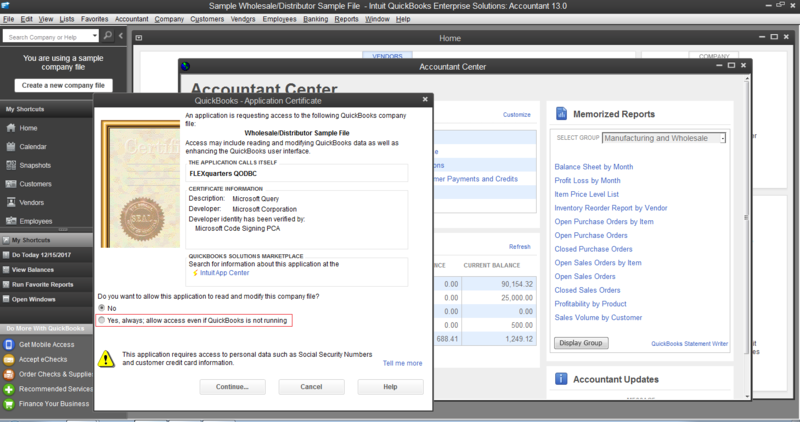 Select the field header name and click on it, next select Criteria -> Add Criteria. 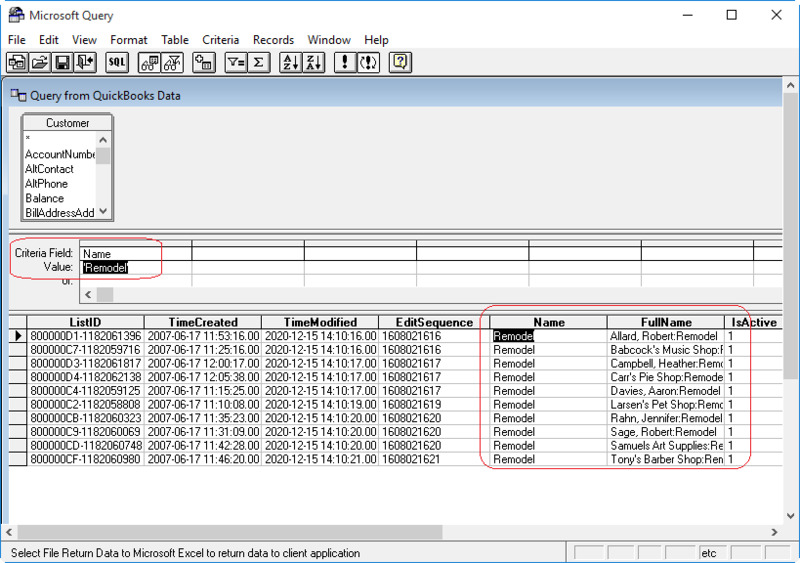 In the poped out Add Criteria window, worksheet specifies the criteria Field as "Name", Operator as "equals", then click Value button and from the list of values select "Residential" -> OK -> Add. Then the will be displayed at your worksheet.